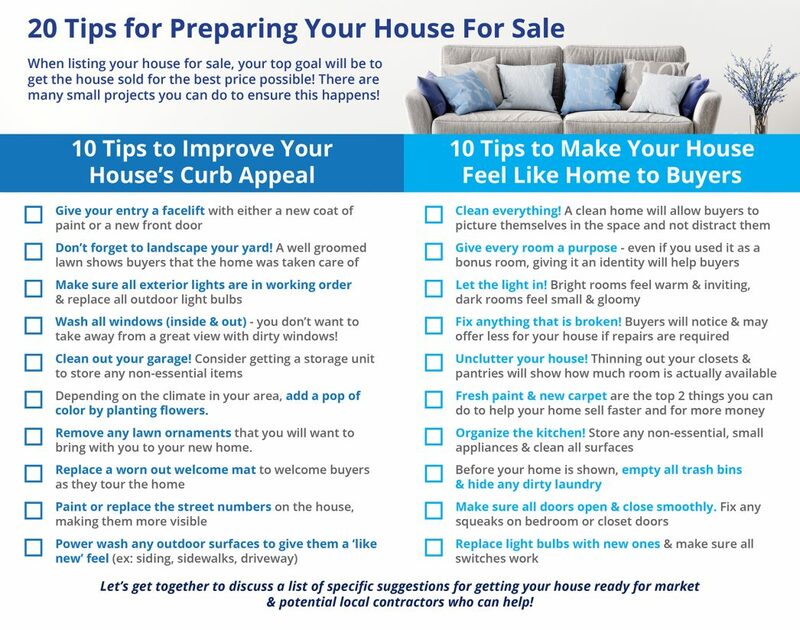 20 Tips for Preparing Your House for Sale This Spring Some Highlights: When listing your house for sale, your top goal will be to get the home sold for the best price possible! There are many small projects that you can do to ensure this happens! Your real estate agent will have a list of specific suggestions for getting your house ready for market and is a great resource for finding local contractors who can help!